“The point of the gospel isn’t celebrating an experience; it’s believing a Man who is your crucified, resurrected, reigning Life.” -- Russell Moore, dean of the School of Theology at Southern Baptist Theological Seminary, in an Oct. 27 blog post. God can cause even the world’s mightiest rulers – pagans though they are -- to humble themselves before Him and confess His sovereignty. We see this happen more than once in the book of Daniel. On one such occasion, God restores Nebuchadnezzar to his throne after humbling him to the extent that he acts as if he were an animal. Upon his return to rule over Babylon, Nebuchadnezzar closes his praise of God by saying, “Now I, Nebuchadnezzar, praise, exalt and honor the King of heaven, for all His works are true and His ways just, and He is able to humble those who walk in pride” (Dan. 4:37). What a great declaration of praise to the only One worthy of worship! How much more should we express our adoration and thanksgiving this Sunday, however, when we will gather as those who have been delivered from enslavement to sin, Satan and death by the Sovereign God who humbled Himself and died for us. That’s the question David Mathis asks over and over regarding Halloween in an Oct. 26 post at the Desiring God blog. Mathis -- executive pastoral assistant to John Piper at Desiring God and Bethlehem Baptist Church in Minneapolis – challenges Christians to think in a gospel-advancing way regarding this increasingly celebrated holiday. It is a worthwhile read. Whatever we decide about our response to Halloween, may Jesus and His gospel be at the heart. What if spreading a passion for God’s supremacy in all things included Halloween — that amalgamation of wickedness now the second-largest commercial holiday in the West? . . .
What if we saw October 31 not merely as an occasion for asking self-oriented questions about our participation (whether we should or shouldn’t dress the kids up or carve pumpkins), but for pursuing others-oriented acts of love? What if we capitalized on the opportunity to take a step forward in an ongoing process of witnessing to our neighbors, co-workers, and extended families about who Jesus is and what he accomplished at Calvary for the wicked like us? What if we resolved not to join the darkness by keeping our porch lights off? What if we didn’t deadbolt our doors, but handed out the best treats in the neighborhood as a faint echo of the kind of grace our Father extends to us sinners? What if thinking evangelistically about Halloween didn’t mean just dropping tracts into children’s bags, but the good candy — and seeing the evening as an opportunity to cultivate relationships with the unbelieving as part of an ongoing process in which we plainly identify with Jesus, get to know them well, and personally speak the good news of our Savior into their lives? Meet Katie Davis, if you have not had the privilege already. If you were in our church’s corporate worship Oct. 23, you heard me introduce her and share briefly about her. Katie Davis is a mother to 13 girls -- in Uganda -- at 22 years of age. I have read her Jesus-drenched posts periodically for more than a year after a blogger I follow linked to her blog. Katie Davis left her home in Brentwood, Tenn., after graduating from high school to teach in a Ugandan village. She returned home the next year to begin college but found her heart remained in that needy African country. She returned and cared for orphaned and abandoned girls, spreading the message of Jesus as she did. She has helped start a ministry to Ugandans named Amazima. Her story is told in a book, Kisses From Katie, released three weeks ago. This July article by National Public Radio provides a good overview of her unusual life. You can read here an interview with her published Oct. 25 in Christianity Today. Tuesday morning ladies from Masese stream through my front door. We have moved our weekly meeting from the slum of Masese to my living room because I have been up all night with new foster baby and can’t imagine getting all 14 of these little people out of the house. Excited about a change of pace and my sweet friends in my home, I enlist the help of darling Tamara and 13 eager little girls to give these ladies pedicures. We wash and we rub and we paint. I rub lotion into old scarred feet and think of the journeys they have traveled. I whisper thanks for the ways they have blessed me and the things they have taught me, and here in a puddle on the hard tile floor, Joy overflows. It is on this same cold, smooth tile that I kneel hours later, face inches away from the burn on Makerere’s calf. The stench doesn’t even bother me anymore. And while it looks horrific to outside eyes, I remember what it looked like months ago and ever so slowly, I can see the healing. I can see the healing in the blood red life that spills out as I bandage and in the smiling eyes that tell me stories as I work. Laying on my belly with a surgical blade I scrape out the dead and do my best to preserve the new pink tissue that is starting to form around the edges. He laughs and says, “I have told you now all the stories I have! It must be your turn.” And I tell him a story of a Heavenly King, born as a pauper and of a Body broken for me and for him and for each one of us. And I don’t even realize but there are tears on the tile and I sit astonished that messy, inadequate, ungraceful me would get to share such a story. We sit in the dirt, not worried about the red stains and serve 400 plates of food to sponsored children on Saturday. I look into these faces and remember them nearly 4 years ago, destitute and hopeless and starving. Afraid of my funny white skin. We feed them lunch and we feed them God’s Word and we watch them transform. We feel like family now, no one noticing these skin differences. The [sun’s] rays beat down the glory of God and covered in mud and chicken broth I know that this is contentment. Not really. You are complete already, whether single or married, if you are in Christ by virtue of saving faith. There is a sense in which this statement – “My spouse will complete me” -- can point to some truths in marriage: A man and woman become one in marriage; they can have oneness in spirit, purpose, thinking and body; a spouse can have strengths that off-set your weaknesses; God uses marriage as part of the sanctifying process, utilizing your spouse as a means of conforming you to the image of Christ. To say your spouse completes you, however, attributes something to him or her that Jesus has already achieved: “For in Him all the fullness of Deity dwells in bodily form, and in Him you have been made complete” (Col. 2:9-10a). Recognize your completeness comes from Jesus, not another person -- even your spouse. “We ought always to give thanks to God for you, brethren, as is only fitting, because your faith is greatly enlarged, and the love of each one of you toward one another grows ever greater” (II Thess. 1:3). Dear God, thank you for Your people who make up Covenant Community Church. Thank you for the privilege of being a part of them. You have been good to bless us with many manifestations of your grace through these years. Thank you for enlarging our faith, especially in opening our eyes more and more to the centrality of the Lord Jesus and the total sufficiency of His finished work for us. Thank you also for the love for one another that lives in our fellowship and for the growing expressions of that love that are being displayed. Please extend Your grace to us that we would grow more and more in our trust in You and Your gospel, and please cause our love for one another to increase even more. In these merciful works of Your Spirit, may You receive all the glory. I offer this prayer through Jesus and on the basis of His priestly work in my behalf. Amen. “The Lord is high above all nations; His glory is above the heavens. Who is like the Lord our God, who is enthroned on high, who humbles Himself to behold the things that are in heaven and in the earth?” (Psalm 113:4-6). The answer, of course, is: There is no one “like the Lord our God.” He has established the nations. He has created the heavens. He rules over all things from His exalted throne. While He “humbles Himself to behold the things that are in heaven and in the earth,” think about the humility He demonstrated centuries after this psalm was written. The one true, supreme and all glorious God set aside His riches and privileges to become a man and “humbled Himself by becoming obedient to the point of death, even death on a cross” (Phil. 2:8). We will gather Sunday to worship the Sovereign God because God the Son humbled Himself to bring us to the Father and to make us true worshipers. May we enter corporate worship with reverence, awe and gratitude for this God who has brought us to Himself through this humiliating, blood-bought way. The way to be gathered together is to be gathered by him and to him. If all press to the center, they all press to one another. If each man’s aim be personal fellowship with Christ, personal knowledge of Christ, personal trust in Christ, personal adoration of Christ, personal service to Christ, and the getting of a personal likeness to Christ, then we are all coming together. While our fellowship is with the Father and with his Son, Jesus Christ, we also have fellowship with all the saints. This should be the great object of all our gatherings, to be brought more fully into Christ; and all of us must meanwhile believe that Jesus is in the midst and we must come together unto him. . . . This is disturbing -- and sub-biblical! Yet, there seem to be some in the conservative Christian universe who have fallen prey to this tragic way of thinking. Yes, being a wife – or being a wife and mother -- is an important and honored calling from God, but it is not the basis of a woman’s value. Let’s start from scratch biblically: Women are made in the image of God, just like men (Gen. 1). They are valuable as image-bearers of God, not just as wives and mothers. Christian women are true worshipers (John 4), ambassadors for Christ (II Cor. 5) and priests (I Peter 2). They have been commissioned to make disciples (Matt. 28). They are to serve others (Gal. 5 and other passages). If married, with or without children, they have the opportunity to fulfill all these callings and more. If unmarried, they have the opportunity to do the same. Single Christian ladies can glorify God in all kinds of ways, including as teachers, missionaries and care-givers, even overseas. If you are a Christian parent of girls, please don’t give them the impression their value is based only on their roles as wife and mother. If you do, you will be promoting an unbiblical concept. Only a fraction of the present body of professing Christians are solidly appropriating the justifying work of Christ in their lives. Many have so light an apprehension of God’s holiness and of the extent and guilt of their sin, that consciously they see little need for justification. Below the surface, however, they are deeply guilt-ridden and insecure. Many others have a theoretical commitment to this doctrine, but in their day-to-day existence they rely on their sanctification for justification. . . . drawing their assurance of acceptance with God from their sincerity . . . their recent religious performance or the relative infrequency of their conscious, willful disobedience. 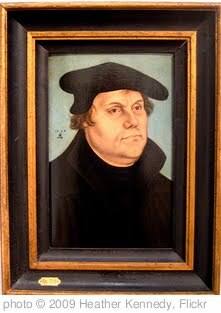 Few start each day with a thoroughgoing stand upon Luther’s platform: you are accepted, looking outward in faith and claiming the wholly alien righteousness of Christ as the only ground for acceptance, relaxing in that quality of trust which will produce increasing sanctification as faith is active in love and gratitude. And although you were formerly alienated and hostile in mind, engaged in evil deeds, yet He has now reconciled you in His fleshly body through death, in order to present you before Him holy and blameless and beyond reproach – if indeed you continue in the faith firmly established and steadfast, and not moved away from the hope of the gospel that you have heard . . . (Col. 1:21-23a, emphasis added). “Holy and blameless and beyond reproach!” Believe it. Marvel at it. Rest in it. Rejoice in and exalt the One who makes it so. What can we learn from William Carey? Two months ago today marked the 250th anniversary of the birth of the father of modern missions. William Carey’s birthday was Aug. 17, and Timothy George offered on The Gospel Coalition blog seven things we can learn from Carey. George is the dean of Beeson Divinity School of Samford University in Birmingham, Ala.
. . . Born on August 17, 1761, he was the son of a poor school teacher in the tiny village of Paulersbury [England]. Taught to patch shoes in a cobbler’s shop, he was converted to Christ as a teenager. Soon he was gripped with a passion for sharing the gospel with those who had never heard the name of Christ. In those days, missions was a naughty word, something obsolescent, restricted to the days of the apostles long ago. But Carey read the Great Commission differently. “Go ye,” he said, “means you and me, here and now.” He challenged his fellow Baptists to respond to this call, to “expect great things from God, and attempt great things for God.” The result was the first missionary society organized by evangelical Christians with the aim of carrying the Good News of Christ to all parts of the world. George placed these seven principles at the top of his list of things we can learn from Carey: (1) The sovereignty of God; (2) the finality of Jesus Christ; (3) the authority of Holy Scripture; (4) contextualization; (5) holistic missions; (6) Christian unity, and (7) faithfulness. George elaborates on each of these points, and the entire piece can be accessed here -- http://thegospelcoalition.org/blogs/tgc/2011/08/19/william-carey-at-250/. Carey knew that true missionary work is rooted in the gracious, eternal purpose of the triune God, Father, Son, and Holy Spirit. Today, more than a new program of missionary training or another strategy for world evangelization, the church of Jesus Christ needs a fresh vision of a full-size God—eternal, transcendent, holy, filled with compassion, sovereignly working by his Holy Spirit to call unto himself a people out of every nation, kindred, tribe, and languagegroup on earth. Only such a vision, born of repentance, prayer, and self-denial, can inspire a Carey-like faith in a new generation of Christian heralds. “Bless the Lord, O my soul, and all that is within me, bless His holy name” (Psalm 103:1). Oh to have the kind of passion in worship that David expresses here. He cannot bless God the way God blesses him. Nor can we. Yet, we can bless the Lord by ascribing to Him what is true of Him, what His name represents. We can bless Him by expressing our gratitude for His marvelous work on our behalf. We can bless Him by declaring our love for Him and our trust in Him. We can do this as David sought to do – with “all that is within me.” Worship – whether private or corporate – should not be half-hearted or whimsical. It should not be an after-thought. It should not be divided-heart worship. In our corporate worship as Covenant Community Church, the leaders have the responsibility to point us to God in worship and help us focus on His attributes and work, but they cannot cause us to bless the Lord with “all that is within” us. Each of us has that responsibility. May we consider beforehand the privilege we have to “bless His holy name” with our church family this Sunday, and may we bless Him with “all that is within” us. This video – which is an excerpt from a sermon by John Piper, pastor of Bethlehem Baptist Church in Minneapolis – provides helpful insight into the significance of corporate worship. (He refers to worshiping on Saturday evening. Bethlehem has corporate worship on Saturday, as well as Sunday.) I encourage you to give attention to his comments as you prepare for corporate worship this Sunday. I begin a series of posts today that I plan to add to each of the next several weeks and possibly intermittently beyond that. Each post will be about misguided thinking about singleness and marriage that Christians sometimes engage in. I have entitled it “Marriage myth,” but some of the posts will apply to those who are unmarried as well. 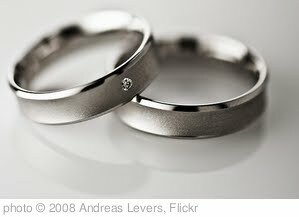 Marriage is a God-ordained and God-blessed institution. God has given it as a gift to all humanity, not just Christians. I am so thankful for marriage and for the wife God blessed me with in marriage. In none of these posts do I intend to minimize or denigrate marriage. I only hope to provide some corrections for what appear to be some flawed ideas about marriage, as well as singleness. As you read these posts, I would like you to do so with this in mind: I will not try to provide an expansive theology of marriage in each brief post. Some day my prince will come: Okay – this is a partial myth. For some ladies, their prince will come. For others, he will not. The debilitating aspect of this partial myth is not whether a prince comes but what value Christian girls and ladies give to the sentiment expressed in this Disney song. Dreaming of a husband may not be harmful, but it can be a joy-robbing belief if you prioritize it at the expense of this all-important truth: Your King already has come, and He is coming again. No matter how sweet the thought and no matter how ingrained it is in many girls’ dreams, this “prince” obsession can be destructive thinking for Christians. A follower of Christ should be following Christ rather than Snow White. God has marriage for most Christians. Marriage is a good, God-given blessing, but it is not ultimate. God is. Every Christian young lady should make fellowship with Jesus her most ardent pursuit and let her desire for and preparation for marriage line up behind it. Worship, therefore, is the fuel and goal in missions. It’s the goal of missions because in missions we simply aim to bring the nations into the white-hot enjoyment of God’s glory. The goal of missions is the gladness of the people in the greatness of God. . . .
"The local church is the hope of the world. Unless we are physically unable, every Christian should be a part of a church. The church is where Christ gets glory (Eph. 3:21) and where we (not just I) shine as lights in the world (Phil. 2:15). The New Testament assumes that believers belong, not just to the church universal, but to a specific community of Christians. That’s why Paul wrote nine of his thirteen letters to churches and why each church in Revelation is represented by an individual lampstand. God’s plan has always been to establish a people, not simply a loose assortment of individuals. "It’s through the preaching of the word, the giving of gifts, the building up of the body, the loving of the unlovely – all in the context of the local church – that Christ gets glory." "Gracious Father, I’m not afraid for the secrets in my heart to be laid bare today — to be openly exposed and revealed. For I’m confident that you won’t deal with me according to my sin but according to the unsearchable riches of the gospel. Otherwise, I would surely fear and despair of such exposure. For in the gospel we find the generosity and kindness of your heart 'laid bare' and poured out on us. Because of Jesus, you welcome rebels, fools, and idolaters (just like me) into your presence. "Indeed, the gospel is the sanctuary where my heart cries the loudest, 'God is really here!' Only the gospel of your grace frees us to fall down and worship you in humility, not humiliation; in gratitude, not groveling; in repentant faith, not self-centered penance; in the assurance of Christ’s righteousness, not the condemnation of our unrighteousness. "Father, I pray our whole church family will enjoy this same freedom — especially as we gather each Lord’s Day to worship you. By the gospel, stun us, smite us, level us and gladden us. Free us from the worship of worship. Free us from 'iWorship' and 'I' worship. Expose our idols and topple them with your free and powerful grace. Free us from needing anything more than Jesus and your Spirit to worship you the way you deserve and delight to be worshiped. "Help us realize when we’ve moved away from the 'sincere and pure devotion to Christ' (2 Cor. 11:3), to something else. And let us never forget that you are not seeking 'great worship' but true worshipers — those who worship you 'in the Spirit and in truth' (John 4:23). "May our worship be so saturated with the truth and grace of the gospel that nonbelievers will be overwhelmed with your presence and captured by your love. So very Amen we pray, in Jesus’ most wonderful and worthy name. Amen." Tomorrow's sermon will be on Revelation 4 and 5, a magnificent passage about worship. Within the text, we will see the worldwide reach of the Son of God's cross-work. Here is a video of less than two minutes from John Piper, pastor of Bethlehem Baptist Church in Minneapolis, on a connection between missions and worship -- and how the absence of one necessitates the other. The psalm of Moses provides us a way we as God’s people can think about and prepare on Saturday evening for corporate worship the next day. In Psalm 90:14, he prayed, “O satisfy us in the morning with Your lovingkindness, that we may sing for joy and be glad all our days.” We can be assured God’s lovingkindness will greet us in the morning. Lam. 3:22-23 says, “The Lord’s lovingkindnesses indeed never cease, for his compassions never fail. They are new every morning; great is Your faithfulness.” This is true every morning, including this Sunday. Some questions we can ask ourselves in preparation for corporate worship are: Will we be satisfied with His lovingkindness Sunday morning? Will our participation in corporate worship overflow with gladness? Will we “sing for joy?” We will gather Sunday to worship the God who faithfully satisfies through the person and work of His Son. May we prepare Saturday evening and Sunday morning to sing gladly about and to the God who has sacrificially demonstrated His lovingkindness toward us. This post inaugurates a newly named blog at a new site. It is still the pastor’s blog for Covenant Community Church in Fredericksburg, Va., but it formerly was part of the church’s website (www.covenantweb.net). It has a new name – “Community of the Cross” – that reflects its intent and, hopefully, its content. Covenant Community Church – and every other local body of Christians – is a community of the cross. We are created, brought together and bound together by the cross of Christ. By the cross, I refer not just to that instrument of death but to the person and work of God the Son – His righteous life, atoning death and vindicating resurrection. I intend for this blog to continue to seek to glorify God, magnify Christ, rehearse and spread the gospel, and strengthen the church. My desire is that it will help us understand the benefits of the finished work of Jesus, the applications of the gospel and the significance of the church in God’s kingdom. This blog’s primary audience continues to be Covenant Community Church, which consists of a gracious and loving band of saints who are dear to me. I hope it will serve all of you in this covenant community well. Yet, I also desire that other believers benefit from it. And I hope seekers after God will as well. I invite you to follow the blog and join the discussion by contributing your comments. It is a great privilege to be part of the community of the cross with you.